Standard Chartered Walkin Drive in Chennai | 21st to 28th April 2017. Standard Chartered Recruitment 2017 for B.Com, BA, BBA, BBM, M.Com, BCA, B.Sc students as Associate, Senior Associate – (NonTechnical). Candidates who are going to build their bright future they can apply for this Job Vacancies in Chennai. Interested people must check Official Notification to grab a job in this platform they can prepare Standard Chartered Placement Papers and Test pattern of Standard Chartered for better preparation. Candidates are welcomed to Go through our site All India Jobs for more Official Stuff. Under Graduates in B.Com / M.com/ BBA / BBM / BCA / BSC/ BA (Economics/Statistics) (Finance/General). Freshers – 2014-2015 & 2016 pass out. 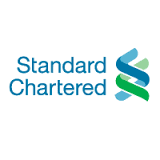 Standard Chartered Global Business Services Private Limited is a wholly owned subsidiary of Standard Chartered Bank, UK, is an integral part of the Bank’s strategy to consolidate and rationalize operations into Shared Services Centres. This is an ambitious project for Standard Chartered GBS. Today Standard Chartered GBS services processing over 80 million transactions a year. Aspirants can attend for the Standard Chartered Recruitment 2017 which is held in Chennai. We update the Required details, Walkin Dates and Timings on this post. So candidates who are interested they can directly attend for the below mentioned venue. Hope this page will give a clear idea and complete information regarding Standard Chartered Walkins in Chennai. Standard Chartered Walkin is useful for your job search. For further updates candidates can visit All India Jobs for regular Job Updates.